When a heat load is present CHP systems are more efficient than utility generated electricity and eliminate transmission costs. 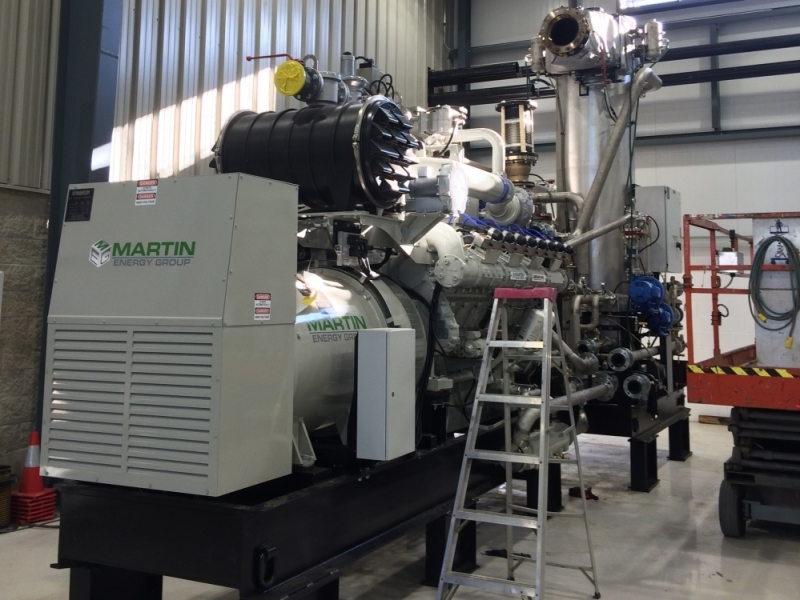 Generators convert fuel to electricity. In a CHP system, the waste heat is also captured. This heat is used to offset or eliminate boiler supplied heat to run a process or heat a space at a facility. Facilities with expensive electricity and a large concurrent thermal load are excellent candidates for CHP installations. Given current gas prices of approximately $6 per GJ, if your electricity price is above 7.8 cents/kWh you should consider a study. If your electricity price is above 15.6 cents/kWh, then it is likely that a CHP project would have a three year payback. Enertec Engineers write and stamp engineering studies for CHP systems. Enertec also works closely with industry partners to supply piping designs, heat exchangers and other components to fully integrate your CHP system. The Linwell Gardens project involved the design and procurement of a heating system to service a 118,500 sq.ft. greenhouse expansion. The heating system consisted of a 3-stage hydronic heating network that was connected to an existing central hot water boiler plant.